During the prolonged battle between the Israelites and Amalek, Moses realized that when he “held up his hand, that Israel prevailed; and when he let down his hand, Amalek prevailed.” (17:11) This realization required Moses to keep his arms aloft during the entire prolonged battle. We read that when he grew tired, “[Aaron and Hur] took a stone, and put it under him which he sat on; and Aaron and Hur stayed up his hands, the one on the one side, and the other on the other side; and his hands were steady until the going down of the sun.” (verse 12) Rashi (on verse 12) wonders: Why did they bring him a stone? Couldn’t they find a more comfortable seat like a chair or a cushion? According to Rashi, Moses asked specifically to sit on an uncomfortable stone. “[Moses] said, Israel is in a state of distress, so I too will be with them in distress.” The Sages in the Talmud viewed Moses’ actions as an example we must try to emulate. They taught that, “When the community is in trouble let not a man say, ‘I will go to my house and I will eat and drink and all will be well with me’…rather a man should share in the distress of the community, for so we find that Moses, our teacher, shared in the distress of the community… [From this we learn that] he who shares in the distress of the community will merit to behold its consolation.” (Taanit 11a) Moses would most certainly have agreed. Judaism’s value for human life is also reflected in the mundane practices that are often incorporated in daily life, such as tying one’s shoes “properly.” According to Jewish custom, one should put on their right shoe first, followed by their left shoe, tie the left shoe, and then return to tie the right shoe. This is done in order to underscore the need to show sensitivity toward the limbs of one’s body. How much more sensitive must one be toward fellow human beings by not showing undue favoritism to one person over another. Clearly, the bottom line of all of Judaism is the sanctity of human life. In Judaism, there is nothing more sanctified than human life, and nothing more defiling than death. Death, consequently, is regarded as the ultimate defiler. In ancient times, a person who came in contact with death would be defiled for seven days. To be purified, the impure person would need to be sprinkled with the waters of the red heifer, on the third and seventh day of impurity, and then bathe in a mikveh on the night of the eighth. Although contact with death was not uncommon in ancient times, many of us, in contemporary times, have become rather inured to death. The constant reports, especially through modern technology, of vast numbers of deaths and disasters, have made it virtually impossible to feel a sincere sense of mourning or sadness for the losses. The most common reaction to death these days is often to ignore the discomfort and turn to the sports, fashion, or business reports. Judaism is determined not to allow human beings to become indifferent to death, because those who are indifferent to death, inevitably become insensitive to life. That is why Judaism required that any time a person came in contact with death in any way, needed to reaffirm life. The ancients would reaffirm life by going to the mikveh, a pool containing “living waters,” the source of all life; after all, humans are composed of 60 percent water. Immersing in a mikveh is comparable to returning to the primordial state of creation, where there was only water (Genesis 1:2). Mikveh is, in effect, a rebirth experience, akin to returning to the womb. 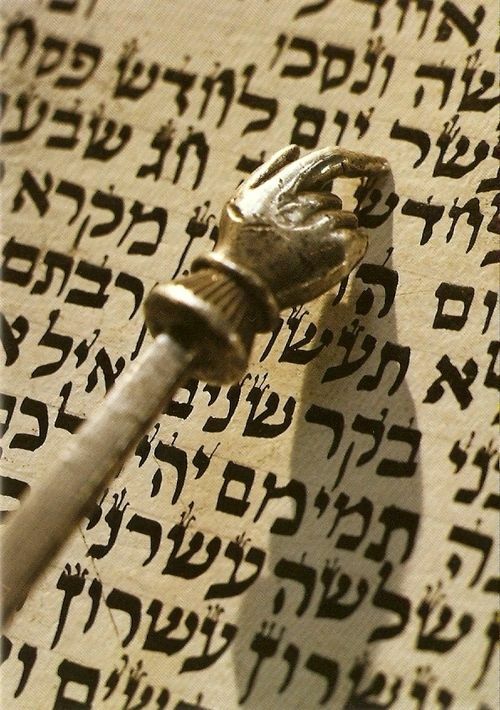 The Haftarah of this Shabbat is known as Shabbat Ha’Gadol or the Great Sabbath recited the Sabbath before Passover. The prophet Malachi speaks of the promise to the people of the rebuilding the Temple. He also announces that He will send the prophet Elijah to renew their hearts.